We work side by side with our clients, bringing our outsiders’ objectivity and insiders’ knowledge of the arts & culture field to our client’s vision. A horizon is nothing but the limit of our sight. We are dedicated to turning out the most effective, visionary leaders of nonprofits. We provide you with the knowledge, communication skills, tools, and resources to serve as a high-impact leader of your organization. We work one-on-one and with teams. We custom design the project to meet your specific needs and work from the ground up to ensure buy-in from all stakeholders. You will unleash your own potential and transform your organization. The journey of discovery begins not with new vistas but with having new eyes. Strategic guidance on the practice of relationship, dialogue, and the deep connections that energize people and communities to turn visions and passion into reality and results. We ask the tough, deep questions that reveal limiting thoughts, beliefs, and habits. We provide practical counsel on how to change course. We help our clients understand how to best leverage existing networks and resources as well as tap into new ones. We bring decades of front-line fundraising experience and expertise to each engagement. We work with staff and leadership, guiding nascent major gift programs and development operations alike. We understand that in the nonprofit sector, philanthropy is the catalyst that transforms ideas into impact. And that means everything your organization wants to accomplish tomorrow depends on your fundraising success today. From institutional visioning and strategic planning for the success of your organization and fundraising program to board development, training, recruitment and other governance matters, we help you chart a path to greater impact and sustainable success. Alvin Baltrop, (c. 1975). Image courtesy of The Alvin Baltrop Trust. Legacy Planning: Strategic planning for clients, executors, and their advisors to accomplish the specific objectives of future or existing trusts and estates, with a focus on legacy planning, market analysis, philanthropic objectives, and the transfer of the collection’s assets through both sales and gifts. 3SAS offers a variety of customized workshops that help artists create sustainable practices. 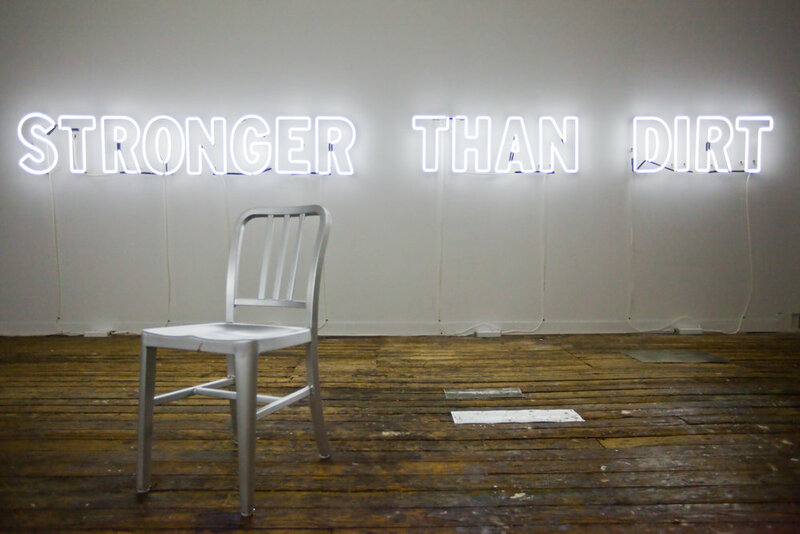 Mary Ellen Carroll, "Stronger Than Dirt" (2010). Installation shot at Third Streaming Gallery, 2010. Image credit Whitney Brown.